Our goal is to connect people with the best local experts. We scored wedding photographers on more than 25 variables across five categories, and analysed the results to give you a hand-picked list of the best wedding photographers in Walnut Creek, CA. Dave Donovan Photography is a wedding and engagement photography service for clients in the San Francisco and Los Angeles area, and throughout the Northern and Southern California region. Photographer Dave Donovan combines contemporary photojournalism and portraits by capturing fleeting moments for a timeless photo album. Dave also specializes in sports photography. Dave Donovan Photography received the Couples’ Choice Award from WeddingWire in 2017. He is also a member of the International Society of Professional Wedding Photographers and with Fearless Photographers. Dave Donovan currently hold a five-star rating on Yelp! with over 30 reviews where clients speak highly of his eye for angle and color, creative venue selections, and reasonable prices. Eric James Photography is a San Francisco Bay Area based photographic company that specializes in weddings, engagements, and lifestyle portraiture. Owner and head photographer Eric James provides pricing estimates to all clients within a 24 hour timeframe and can be reached by phone or through his website's online contact form. Eric is a member of the Professional Photographers of America and has been photographing professionally for over five years. He maintains an extensive portfolio on his website of his photographs for the benefit of clients looking to view the type of work he produces. Clients routinely praise Eric's affable nature and quality reproductions. Located in Arroyo Grande, California, Erin Marie Cadwallader Photography offers elegant photography for various events. They cover not just wedding events but family and graduation. They serve clients in Paso Robles, San Luis Obispo, and Pismo Beach. They also travel to destinations for photo shoots at the client's request. As an experienced photographer, Erin Marie wants to ensure that she captures every beautiful moment. She knows the importance of the small details at every occasion. With the quality images that this business captures, it continues to receive good feedback, as many clients are delighted with their work. James Brian Studios brings a lifetime of experience in photography to wedding couples in Walnut Creek. The group is known for discreetly capturing the emotions of the bride and groom, infusing its images with an "upbeat style" and "casual elegance," and always achieving the perfect combination of lighting, composition, technique, and emotion in every shot. James Brian Studios also offers photography services for corporate events, headshots, and high school seniors, and galleries for all categories are available for viewing on the studio's site. The photographer is a Master Photographer through the PPA International Photographic Competition, advanced education, and service to the industry and has worked for the likes Wells Fargo Bank, Intel, Chevron, At&T, Samuel Merritt Hospital, and Castello di Amorosa. Katherine Elyse Photography is a Walnut Creek business that provides wedding photography and engagement photography. 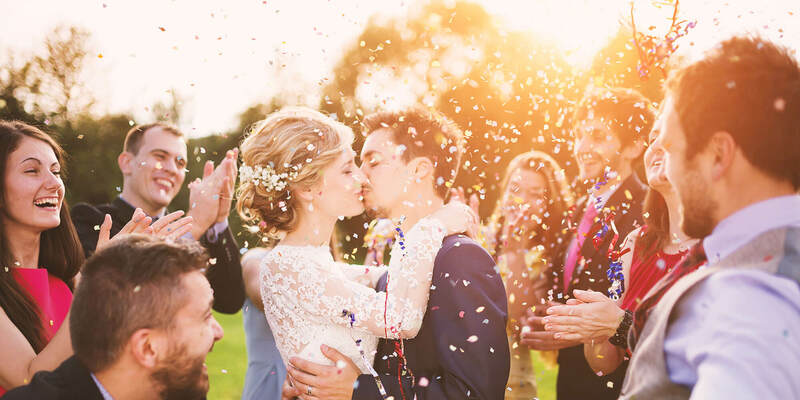 The business offers packages that include five hours of coverage on the wedding day, access to an online gallery, edited images on a customized USB package, printing rights, and an eight-week turnaround time. Katherine Elyse Photography offers options such as multiple USBs, additional hours, full day coverage, two photographers, albums, foam board prints, canvases, and rush return times. Engagement sessions are one hour long and include travel fees, access to an online gallery, printing rights, a four-week turnaround time, and free invitation design or Save the Date services. Other options are outfit changes, props, an extra hour of shooting, multiple locations, canvases, prints, albums, and USBs, and rush turnaround times. Located in Lafayette, California, Lisa Duncan Photography is a professional photography business that serves clients in the surrounding metropolitan area. Owner and photographer Lisa Duncan was initiated into the photography industry by studying as a photographer's assistant under Yves Mozelsio at YJM Photography in 2003. In addition to a specialty in wedding photography, Lisa Duncan Photography also offers clients such services as Bar Mitzvah coverage and heirloom portraiture sessions. Lisa Duncan Photography has been in the professional photography industry for more than ten years and can be contacted by email or through the messaging system on the company's official website for booking purposes. Meg Sexton Photography has been offering professional wedding photography services in Walnut Creek, CA for nearly a decade. Thier goal is to capture the joy, love, exuberance, and anticipation that visually sum up the wide range of emotions that make each wedding unique, special, and unforgettable. Featured in Jow Wed, Borrowed And Blue, Style Me Pretty, and Green Wedding Shoes, Meg Sexton Photography takes pride in offering an artistic and original vision with each event. Clients have spoken highly of their ability to make each photo session as stress-free and natural as possible while capturing the candid moments as well as the planned ones. Steven Branstetter Photography is located in the San Francisco area and provides engagement and wedding photography services worldwide. Steven is a highly-rated photographer who has won The Knot's “Best Of” award multiple times. He accepts only ten wedding bookings per year so that he can devote sufficient time to each assignment. Steven shoots using film instead of a digital camera, and his photos have a glamorous, cinematic quality. He charges an hourly rate with a four-hour minimum and usually provides 200-300 high-resolution images, which are scanned and uploaded to a private online gallery. Steven strives to capture unscripted moments throughout the wedding day and to remain unobtrusive while getting amazing shots that tell the wedding story. Studio DMB is a professional event and portrait studio in Alamo, California. The studio serves the Greater Bay Area, including Alamo, Danville, San Ramon, Walnut Creek, Lafayette, Pleasant Hill, and Martinez. Studio DMB offers wedding photography, engagement sessions, cake smash photos, birth stories, newborn sessions, family portraits, senior pictures, commercial photography, and more. In addition to covering weddings and other events, Studio DMB provides full-length signature photo sessions and 20-minute petite sessions. The studio's owner and principal photographer, Dawn, strives to capture the unique essence and personality of every person she photographs. Studio DMB garners positive reviews for Dawn's warm personality, creativity, and talent. Tiffany Photography features an owner and operator who possesses many years of expertise and technical education in the field of photography. She is available for numerous types of photography and takes pride in her professional experiences, which include working for clients such as Miami Metro, Cosmopolitan, Elle, Amanda Bynes, and Dustin Hoffman. Some of the available photography services from the company include picture taking for weddings, high school seniors, child portraits, and editorial imagery. Tiffany Photography operates out of Northern California and serves residents of the neighboring region through its high-quality portraiture, dedication to customer service, and attention to detail in its imagery. Video Production Company in San-Francisco is a photography business in Walnut Creek, California, specializing in wedding photography and wedding videography. Roman is their chief photographer. He grew to love photography when he was a little boy, growing up watching his father develop photos using film. That was when he realized what he wanted to do in life. Roman started taking pictures of birds in parks using film cameras and eventually shifted to using professional DSLR cameras, shooting weddings and other events. Video Production Company in San-Francisco has also a wedding videographer on staff. They are a favorite wedding photography business in San Francisco, with great Yelp reviews.